Technicians refit and repair clubs, re-gripping and re shafting. They also use equipment to analyse golfers swing in order to custom fit clubs. The analysis looks at club launch and spin, smash factor, considering the weight and flex of the shaft and lofts. 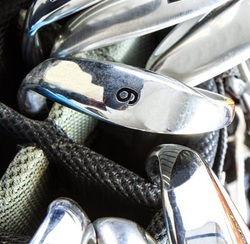 Some golf clubs offer fitting as part of the work of their PGA professional, other assessments are offered by clubs in partnership with golf manufacturers or by independent companies. A number of training schools linked to manufacturers of clubs exist.